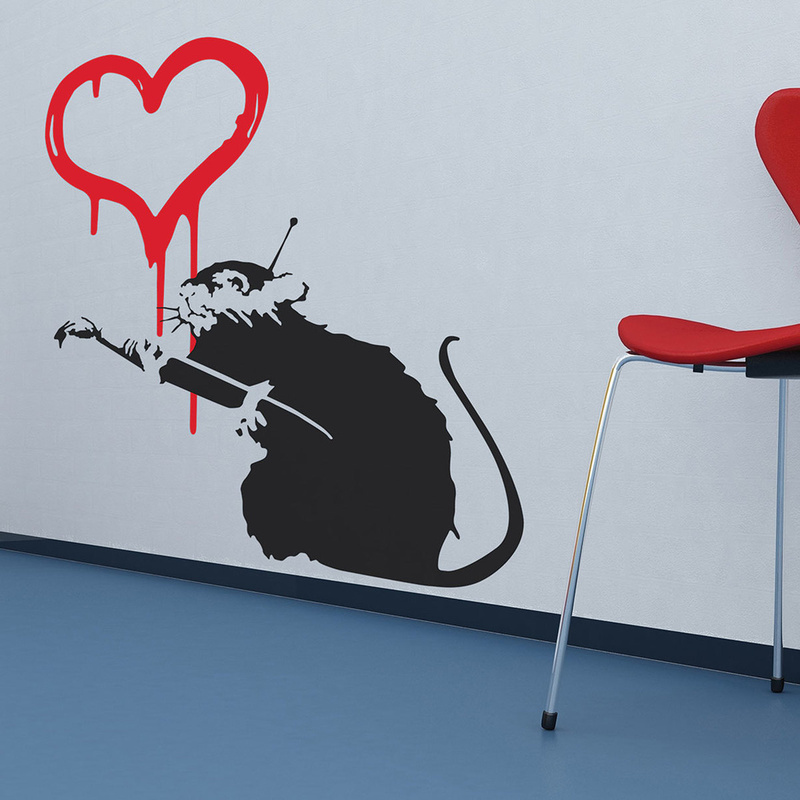 Be quirky with this Banksy-inspired Love Rat wall sticker. Based on the work of the famous UK street artist, this wall sticker features a large silhouetted rat painting a red heart onto the wall. 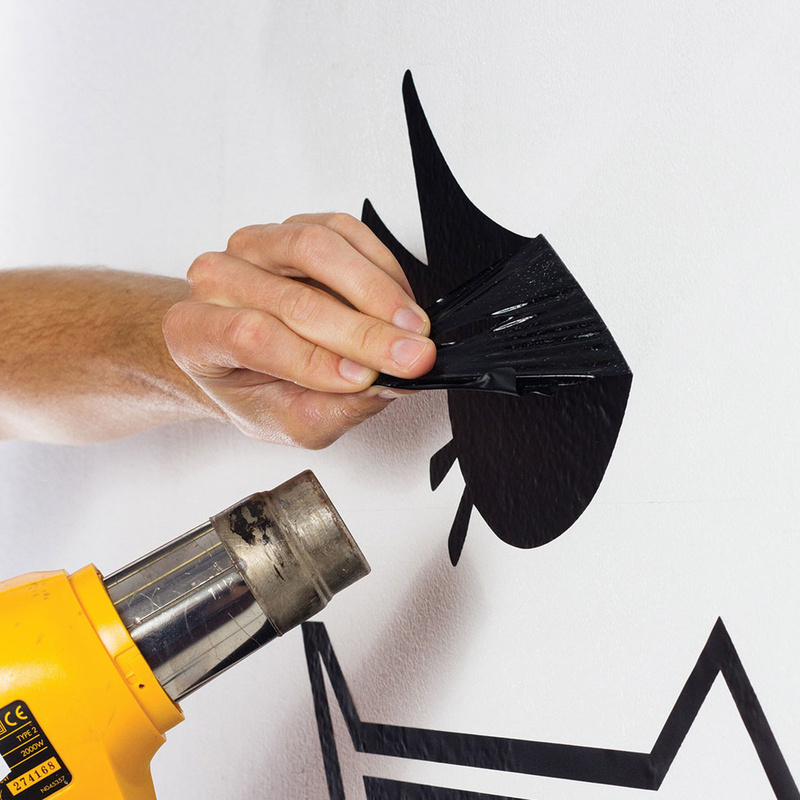 Making a bold visual impact, this wall sticker is perfect for adding a gritty urban edge to any décor. This pack contains 1x Love Rat wall sticker (75cm x 56cm) and 1x Heart wall sticker (42cm x 55cm). 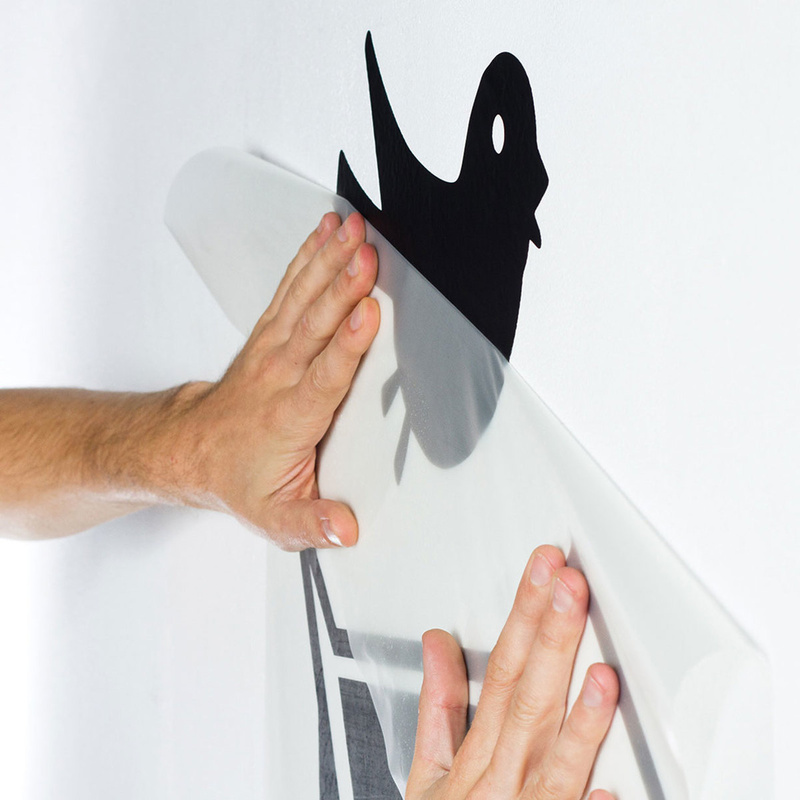 The Binary Box is a specialist in creating removable wall stickers with a special eye to new digital technologies. It aims to create emotional copies of famous artworks, so that you can add a touch of unmistakable personality to your home.